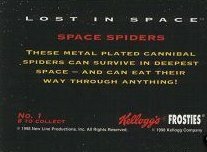 A hologram card from the Kelloggs 1998 card set. The set was only release as a UK exclusive. 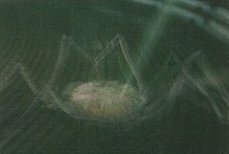 It is numbered 1 of 8 and is of the space spider in the movie.